First I should say that I always struggle with short stories. I wanted to read these because I'm a fan of Darin Bradley and I am a completist, but I must admit I feel weird writing the first review in Goodreads. But a person who gets short stories is this author. He understands that the short story is a place to play with an idea, a fragment, and flesh it out to its logical conclusion. The topics in these range from quantum algorithms in suburbia to archival collections to basement enlightenment to ginseng harvests in a post-hipster world. There is even one story that reads like a post-apocalyptic gospel. Thanks to the publisher for providing access to this title via Edelweiss. Sometime in this past year, I realized that another podcaster, Kendra, lived in the same city as me. Her co-host is Autumn and they host the Reading Women Podcast (more info and links below.) We decided to use the opportunity to talk about the best books we read by women this year. I received a copy of this book from the publisher through NetGalley in exchange for an honest review. It was published November 21, 2017. I had very personal reasons to read this book. Last year as I was trying to process my own grief from my own experiences and the terminal diagnosis my father received, I met with a chaplain on our campus who used the term "holding space." I was nervous about talking to someone, but knew I needed to, and it something I was glad I did. I've read many books about grief, even spent an entire podcast episode discussing books on grief and how reading can help you through a tough time. The people who were there for me had a powerful impact, and the space they held for me allowed me to hold space for others in the days leading up to and after my father's death. Yes, I too was grieving, but there was also this space. So when I saw this book come across the NetGalley listings, I knew I wanted to know more. Amy Wright Glenn is a former Mormon who went on to study comparative religion, and works as a doula and hospital chaplain. She writes about the importance of holding space in various moments of grief, and not only at the end of life - loss of pregnancies, stillbirth, when a family member is injured, cancer diagnoses, and so on. She discusses the importance of her own meditation practice in developing the grounding and strength that allows her to hold this space for others. What I wasn't expecting, but enjoyed, was a parallel discussion of her Mormon upbringing, how the LDS teachings form her background if not her beliefs, and how those ideas intersect with many other religions. I don't often get to read former Mormon narratives that aren't completely villainizing what they've left behind, and it was interesting to learn about. I have some interest in this idea of the grief doula. I know people who volunteer for hospice and other things outside of their "real" jobs. This is a book I would want to return to, at the very least to check out her recommended reading. I received an eARC of this title from the publisher through Edelweiss, in exchange for an honest review. The book comes out in March 2018. I was poking around my review titles for non-fiction to read during Non-Fiction November and this caught my eye. I had recently booked a trip to Alaska and wanted to read more about it, and here was a book set north of where I will be! The life of the commercial fisherman is one of the hardest there is. Laura quotes a statistic that it has the fatality rate, and that half of the deaths in the profession take place in the Bering Sea. Yet this is where she decided to work on a commercial fishing boat, measuring and counting as the "observer," no less in danger than those pulling the fish from the sea. Plus she is the only female on board! I was a bit surprised at her lack of preparation for some of the practicalities related to this, but she was honest. And maybe she was more focused on being fearless than on being practical. She learned a lot. Threaded throughout the recounted tales of fishing are pieces of Laura's life story, from her childhood to failed attempts to pursue a graduate degree. This is a good look into what life is like in one of the most extreme places there is. I liked the changing perspectives and the jumps between decades, because they kept the story moving forward and allowed it to be examined from different angles. I am surprised this isn't marketed as YA, despite some of the characters moving well into adulthood. I received a copy of this book from the publisher in exchange for an honest review. I stared it earlier and had to take a break when I sprained my thumb, because the book is heavy! But that should not be seen as a reflection of my interest. The Resurrection of Joan Ashby takes a deep look into the internal life of a female author. Her fiction parallels and adds depth to the story of her life. Joan Ashby published two books of short stories with great acclaim, and then disappeared! It turns out that in her shifting of her energies to a domestic situation (marriage and then two boys), she was unable to write. But the author gives us insight into her thoughts and sacrifices and struggle in a way I'm not sure we usually get to see. How many women give up their dreams, and convince themselves their new lives are enough? We all change. But what if the dreams could be followed after all? I think that's what this book really looks at. In the ARC I have, the various pieces of fiction along with some other differences (letters, audio recordings) are represented by different fonts. This made my head ache a bit, to my surprise, but I don't know if this was handled differently in the final version or not. The complexity of the novel was impressive for a debut, but in the beginning and middle I felt it really added a lot to the story. Near the end, when Joan's novel is read alongside her current situation, I felt less convinced that a separate story needed to be included since there were so many parallels. In many ways her story had become the important one. "Some days... the parade of brokenness is so profound I retreat to my office, stunned and silent." I picked this book up at the giant used book sale that Greenville Literacy has every year and it sat on my shelf. I did include it in a round of book speed dating that I discussed in Episode 076 of Reading Envy, but that was more from an effort to cycle through book sale books by the end of the year. This year's Book Riot Read Harder challenge included a book that is set within 100 miles of your location. Deb Richardson-Moore is the pastor and director of Triune Mercy Center in Greenville, which is 8 miles from my house, so I think it counts for the challenge. I've even been there. A few years ago, I was accompanying a clarinetist for a service there and heard her preach. She was powerful, compassionate, and a truth teller, and I remember thinking that if I were still a church person, this would be the place I'd go. Triune is one of the central places for homeless members of my community, and she started working here right out of divinity school. Before that, she was a journalist for 27 years, something I did not know, and as such was pleasantly surprised that the writing was better than I expected. The Weight of Mercy covers her first three years at Triune, although she continues working there now. It chronicles some specific events but also just all the things she had to learn the hard way - coming to terms with the feeling that sometimes helping is doing more harm than good, the importance of rest, how to balance compassion with policies, etc. Possibly most interesting to me is realizing the enormity of mental health challenges and what the implications are. "Now I realize that privilege can be even more primal - sound mental health being perhaps the greatest of all." "Build up the church. Bring in all kinds of people so we can have role models and mentors. Make Triune a place where an addict can come and see not just other addicts, but people living in ways he can aspire to. Make it a place where affluent Greenvillians worship alongside this invisible population." I'm glad Richardson-Moore has people in her life pointing out when she needs to take a break, because this work is all-encompassing and draining, even while rewarding. I'm certain that she has had a great impact on our community. "Where the love comes in, I think, is this: Showing up. Showing up day after day after day." Thanks to the publisher for providing access to this title through Edelweiss. I try to read as many books as I can about podcasts, podcasting, interviewing, etc., so I was excited to see this book come up. I used to listen to the WTF Podcast, and still do occasionally when the guest is someone who really interests me. I think, at times, Marc Maron asks interesting questions, and I was curious to hear more about his thought process. That isn't really represented in this book much, although there are tidbits here and there. In the Addiction chapter, his brief intro explains why he asks about addiction if he has that in common with his guest. This is one of the reasons I stopped trying to listen to all the episodes, honestly, but I found that he has a very good reason for doing so - something about when someone connects with you on a shared experience like addiction, it somehow strips the pretense away and allows him to get deeper and more personal about other topics. As a listener not all that interested in addiction though, I would often get frustrated when he got to these moments! So if you have heard every episode of WTF, there will not be any new content here. What he has done is cull the interviews for thematic content and organized them so they create a rough narrative in the sense that the first person might mention their father and then religion and the next quote might be about religion and move to the next topic. It takes skill to organize bits in this way, so I respect that. It made it enjoyable to read, even though some of the excerpts were revisiting stuff I'd already heard. There is not a lot of man-behind-the-curtain stuff like I was hoping, but enjoyable just the same. There are a few people I started skipping because I found I didn't particularly care for their flavor (I do think that people have certain expectations about what will happen when they sit down in a garage with a comedian and have a hard time getting beyond masturbation jokes), but your mileage may vary. Nomadland takes a deep look at the growing culture of van-dwellers and other nomads that attempt to live on the road, because they can't afford to live otherwise. I thought it was a particularly poignant read after reading Evicted: Poverty and Profit in the American City earlier this year, since that book examines the issue of eviction among people attempting to still live in traditional ways. The people in this book have left town, leaving mortgages and rent behind, to try to make it through seasonal work all over the country. The author spent three years and got to know many of the people she writes about very well, and I think because of this is able to provide greater insight than people who treat this lifestyle as quirky or the newest hobby of snowbirds. For many of the people in this book, this is the last chance they have to make ends meet, and it is not an easy way to live. There is no safety net. I received a copy of this book when the publisher had leftovers from ALA and I requested a copy via e-mail. I think I expected it to be more about hipsters than retirees, but was happy with the actual focus of the book. I was offered a copy of this from an intern working for the publisher in exchange for an honest review, which I accepted, after feeling slight regret after passing the book up from Book of the Month. I am a super skeptic of the hype machine. Seriously, the more a book is covered by BookTube and Bookstagram and book podcasts, the less likely I feel compelled to read it. And this book suffered this fate. Not to mention that I had previously read the author, when my book club read The Absolutist, a decent but short book. So let this pass me by, felt a bit skeptical of people who wrote glowing reviews, but then decided on a whim to read along with others in Litsy. Okay, so I was wrong about this book. It is so easy to sink into it and get wrapped up into the life of Cyril Avery from pre-birth to death. It starts with his mother, an unwed teenager, being denounced from the pulpit and being forced out of her family and town, and moves quickly into Cyril's childhood as "not a real" Avery. At times there are major jumps in time between sections, often after a memorable scene. The book will take you through a journey. I laughed (out loud, freaking out my pets and husband), I cried, I stayed up until the next morning reading the last 300 pages in one setting. Worth the hype, worth the read. What was your favorite read of 2017? It's time to compile the best of 2017! If you want your favorite book of 2017 included on Reading Envy Episode 105, please send me an email at reading envy at gmail. 3. Your favorite read from 2017. Like all Reading Envy episodes, it does not need to be published in 2017, just something you enjoyed this year. You may also record this, in fact I prefer it so that episode is not all my voice! It should be less than 5 minutes, and saved as an MP3, and include the same info as above. Deadline: December 15, 2017. But please do send earlier than that. Jenny was so excited to be in the same city as Karen, in October, so we planned reading dates, a meat fest (not a euphemism), and time to record an episode. Warning: There is a bit of a spoiler for Exit West on here, but nothing you haven't learned if you've read any reviews of the book. I know that Neil deGrasse Tyson has been the new poster child of capital-S Science in the last few years, but I have lived in blissful ignorance. I didn't watch Cosmos, for instance. But I like astrophysics, the parts I can grasp, and have an admiration for people who can grasp the science and math and concepts enough to push our understanding forward. This is a short book, and I will recommend the audio read by the author. He is very passionate and exuberant about his topics, and it still came across a bit sped up (which I felt it needed.) The different chapters are sometimes previous essays, compiled into this layman's overview of astrophysics - intentionally short, concepts boiled down to the core of where our understanding started, what we know now, and what we do not know. It's clear that the one thing we really have gained understanding of is all that we do not know! I was least thrilled by the periodical table chapter, but I get it, the elements are not unique to earth, and that can be used as evidence for some things, mostly things I'm not super interested in the debate on. But I loved his cosmic perspective and where humanity fits as much as I loved his visual description of what the galaxies looked like in the past, and his questions about the things that we can never know we don't know because they are gone. This is the best science book I've read all year, and possibly also the only science book I will have read this year. I've struggled to review this title because I have mixed feelings. On the one hand, I'm weary of the women-as-breeder trope so common in post-apocalyptic fiction. On the other hand, there are reasons this is so prevalent. On the one hand, I find the child abuse in this, even though it is often "offstage," very disturbing. On the other hand, well. It's not unbelievable. On the one hand, I was confused about the world building. On the other hand, the ending makes everything very clear, or at least provides reasons for it to be muddy. It is true that the daughters don't know enough about the world. That isn't a mistake, that's deliberate, both on the part of the author but also on the part of the men running the island they all live on. But would everyone feeling confused make it to the end? I also very much like the rotating perspectives, always only the daughters. Thanks to the publisher for providing access to this title through NetGalley. Published July 2017. To my great amazement, this is the 100th episode of the Reading Envy Podcast! It has been such a journey to host and produce this podcast. I invited other readers to weigh in on the best ten books they read in the last ten years - just like a normal Reading Envy episode, they do not need to have been published in the last ten years. Some readers have connections to the podcast, others are people on my guest wishlist that I haven't been able to convince to be on the show. Some lists are recorded by the contributors while I have recorded lists submitted by others. I made my own list, and also include a list of the top ten things you might not know about Reading Envy. All in all, the lists add up to 100. All books are mentioned below, as well as links to previous episodes by guests (if appropriate) and their various online presences. Thank you for listening, and thank you for making Reading Envy what it is. And if you are feeling left out, I will be asking for contributions for the best books of the year episode very soon. Download or listen via this link: Reading Envy 100: 100 Reasons Why. Reader 1: Jason Roland appears on Reading Envy about twice a year, and I continue to be influenced by his deep knowledge of southern writers. Reader 2: Claire Tristram, known as poingu in Goodreads. Claire and I co-moderate the Newest Literary Fiction Group in Goodreads, and I have long admired her ability to read deeply and thoughtfully. Reader 3: Sara Moore is a newer reading friend in Litsy with similar tastes to my own! At this point, I talk about the ten things you might not know about Reading Envy, but you have to listen to the episode to find them out. Reader 4: Scott Danielson, co-founder and original co-host of the Reading Envy Podcast! Reader 5: Robyn Andrews is a colleague I've been trying to get onto the podcast since I started. In lieu of that ever happening, at least I get to talk to her about books in person. And she agreed to share her list of ten books. Reader 6: Shawn Mooney. I first encountered Shawn in Litsy but we have become close reading friends. Since we are on opposite time zones I am never surprised to wake up to a book related message. Shawn recently started his own BookTube channel, Shawn the Book Maniac, so check it out. Reader 7: Joni Tevis, writer and professor extraordinaire, is someone I am lucky to see around campus. I once audited her Writing Non-Fiction class and can only classify it as life-changing. She also loves to read, and I asked her for her list. Reader 8: Karen Acosta, a friend first in a virtual world before becoming friends in real life, we have been reading books together since we were only pixels. She is also the only friend I've ever had reading dates with. The last ten years have been the only years Karen read for pleasure in English, so this is a fun list! Reader 9: Me, Myself and I! This was such a hard list to make. This was the only book from the National Book Award finalists for novel that I hadn't tried, so I sat and read this book this afternoon. It is about a man Haris, who is from Iraq, has achieved US citizenship, but is now trying to get into Syria from Turkey to fight against the regime. He ends up living along the border with refugees, where the story unfolds. I feel like so much of the motivation of the main characters is never explained. Why would a person who has done everything to leave go fight against a regime that isn't impacting his own family? He is not particularly religious or zealous about anything. On the other hand, there are some minor characters in the novel that really pop - Jim, who led the interrogations for the US army that Haris translated into English (in his past) and Marty, the American man-child who is starting an ice hockey team in the new Turkish settlement on the border. I was trying to figure out why these characters who are really only mentioned a few times felt like they had so much more energy than the characters filling more of the novel. It turns out the author served five tours of duty in Iraq and Afghanistan, and he really had a grasp of how Americans living overseas, whether in the military or as contractors or entrepreneuers, would act and why. I'm not sure he really has drilled down to the same levels for the refugees and immigrants in this novel, and that is why I don't think it has as great of an impact as it could otherwise. There is some commentary on war and grief that I found worth reading, such as, "...The fighting doesn't go on because of ideas. It goes on because of loss. If I was robbed of my daughter, I would be lost from this world. I'd take up arms and fight like a dead man alive, killing until I was killed." Some of my friends in the Newest Literary Fiction group in Goodreads have been hunting around for book subscription plans that we can read from together, after having some positive experiences in 2017. I can find a bunch of lists online of book subscription boxes with books plus fun extras, but I had a harder time finding a list of subscriptions just of books, just books, no filler. Please comment if you know of others and I can post an updated list! None of these are a paid advertisement, by the way, although the link to BOTM does have my account linked to it should anyone subscribe from it. Many of these are independent publishers, and a healthy amount of them are working in translated work, something I am particularly interested in. This seems to be a new model many independent publishers are working with. Some offer bundles by season while others just send on a schedule. This can work well for book clubs if you are all going to get the same book in the mail anyway! Might as well read it and discuss it. And Other Stories - "And Other Stories works with writers and translators to handpick the best international books for its subscribers and all lovers of fine writing. Subscribe for 2, 4 or 6 titles per year." Ships from UK but available worldwide, which is a feature many subscription services lack. 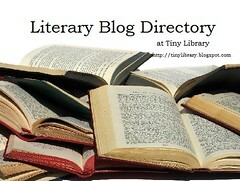 Archipelago Books - "A nonprofit press devoted to contemporary & classic world literature." Choose between a half-year or year subscription, and see the titles in advance. Pro-tip: The year-long eBook subscription (rather than print) is a deal! Book of the Month - five popular books to choose from each month, plus add-ons that are older titles, and you can add additional titles for $9.99, hard to beat!. Good range of genre plus healthy inclusion of debut titles. Not ideal for my book club since we'd all pick different titles, but vary popular on the internet. Coffee House Press - An indie press plus arts non-profit, they offer bundles by year. $100 gets you a season of books. The current season is Fall 2017 and contains 11 books. Dorothy Publishing Project - Not really a subscription but you can get all current titles in one bundle. I did this last January and just have a few left to read. All fiction by women, many titles translated, all with beautiful cover art. Homeward Bound Paperback Originals - from Malaprop's Bookstore/Cafe in Asheville, NC. "Hand-curated by the booksellers of Malaprop's, we'll pick a new paperback original every month -- fiction or creative non-fiction, a book we find to be notable for its literary quality and its appeal -- and mail it to your home." They also have a local version for slightly less money where you can pick the books up. This is a bookstore an hour from me, so I've been a subscriber for a while now, and can attest to the range of the books. Milkweed Books Subscriptions - Milkweed just celebrated the first anniversary of their storefront bookstore, and now have several subscription options. "The original Read This Next! subscription (six books per year) features the most exciting new voices in literature. The Indie Spotlight subscription showcases the vital work of our fellow independent presses and the six books per year will introduce you to the most compelling and eclectic books we've encountered. The Long Live Books subscription combines the previous two." I'm tempted by Indie Spotlight myself. New Vessel Press - "independent publishing house specializing in the translation of foreign literature into English." Their subscription goes by seasons, where you pay a set amount for a set of books. My favorite book from them is Some Day by Shemi Zarhin. NYRB Classics Book Club - Each month, editors select a book from their newest titles (often classics or obscure titles being revived.) Annual membership is $150* for the twelve books, plus a bonus book—Balzac’s The Unknown Masterpiece, translated for NYRB Classics by Richard Howard. Open Letter Books - "newest and greatest international literature in English translation." Subscribe for 6 or 12 months. Restless Books - "independent, nonprofit publisher devoted to championing essential voices from around the world, whose stories speak to us across linguistic and cultural borders." For $10/month, you end up with six of their titles in a year, one of which you choose from the backlist and the others are chosen for you. I have my eye on this one. They recently published four volumes of Cuban science fiction! Two Lines Press - world literature in translation. 2017's subscription was $50 for 6 titles. Ugly Duckling Press - "a nonprofit publisher for poetry, translation, experimental nonfiction, performance texts, and books by artists." Subscriptions are part of the support level for donations, so you can choose an amount and will receive books accordingly. Our first readalong was so much fun that we had another one just a few months later. This time the vote was between four books by women, and this one swept the vote with almost 43% (see the chart below.) The book must have been in the air, because Book of the Month randomly offered it as an add-on (not a paid advertisement) and it felt like a bunch of people were reading it even before the readalong started. The book is 25 years old and still holds up, and we had a lot to talk about. I was joined by Carol Ann, Jeff, Ellie, Vinny (in text), and Sue near the end. What a great group with which to talk about this mighty tome! Download or listen via this link: Reading Envy 099: Readalong of The Secret History. 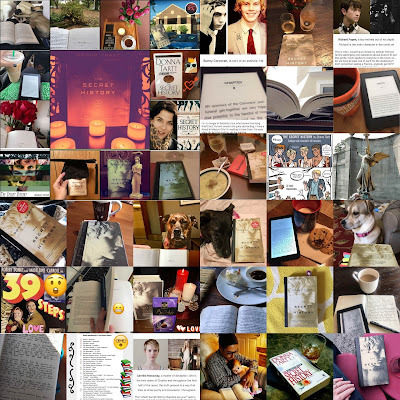 Look at all the posts from the readalong in social media! Thanks to everyone who read along! Feel free to take the survey about the readalong if you have feedback or want to nominate a book for next time.